Rescuing wild animals in distress requires a unique set of skills, very different from those used in handling domestic animals. The equipment, degree of handling, the type of caging and level of care a wild animal receives can mean the difference between life and death. 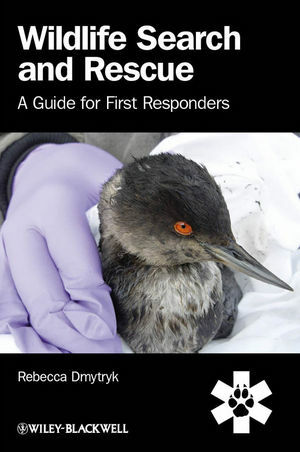 Wildlife Search and Rescue is a comprehensive guide on ‘best practices’ and suggested standards for response to sick, injured and orphaned wildlife. This valuable resource covers the fundamentals of wildlife rescue, from ‘phone to field’, including safe and successful capture strategies, handling and restraint techniques and initial aid. Wildlife Search and Rescue is a must have for anyone interested in knowing what to do when they are face to face with a wild animal in need, or for anyone involved in animal rescue. While the book focuses on wildlife native to North America, much of the information and many of the techniques are applicable to other species, including domestic dogs and cats. Visit www.wiley.com/go/dmytryk/wildlifeemergency to access the figures from the book. In the last thirty years, Rebecca Dmytryk has become a leading authority in wildlife rescue having been on the front lines of some of the largest wildlife recovery missions, including the Gulf Oil Spill. From her office in Monterey, California she and her husband, Duane Titus operate WildRescue, offering around the clock response to emergencies involving wildlife and serving all of California with a state-of-the-art toll-free wildlife hotline.